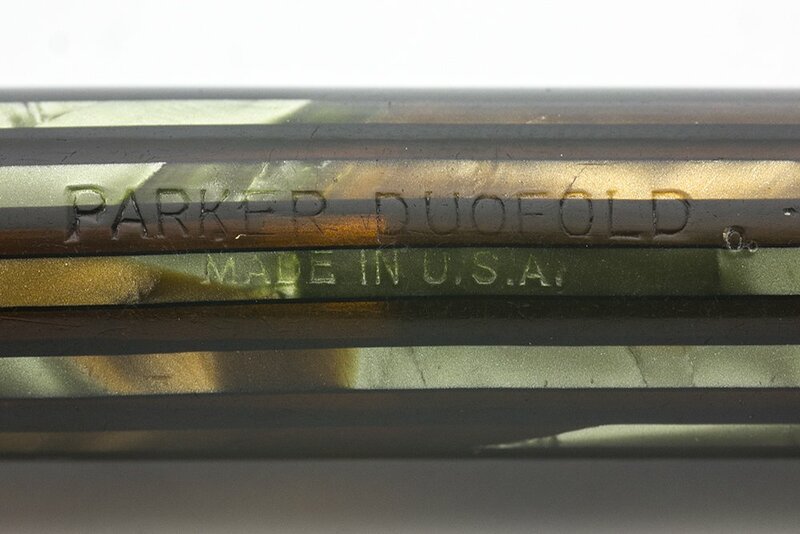 Parker "Duovac" Duofold Vacumatic Junior fountain pen and Sub Deb mechanical pencil from 1940. Both are the Green Stripe pattern. 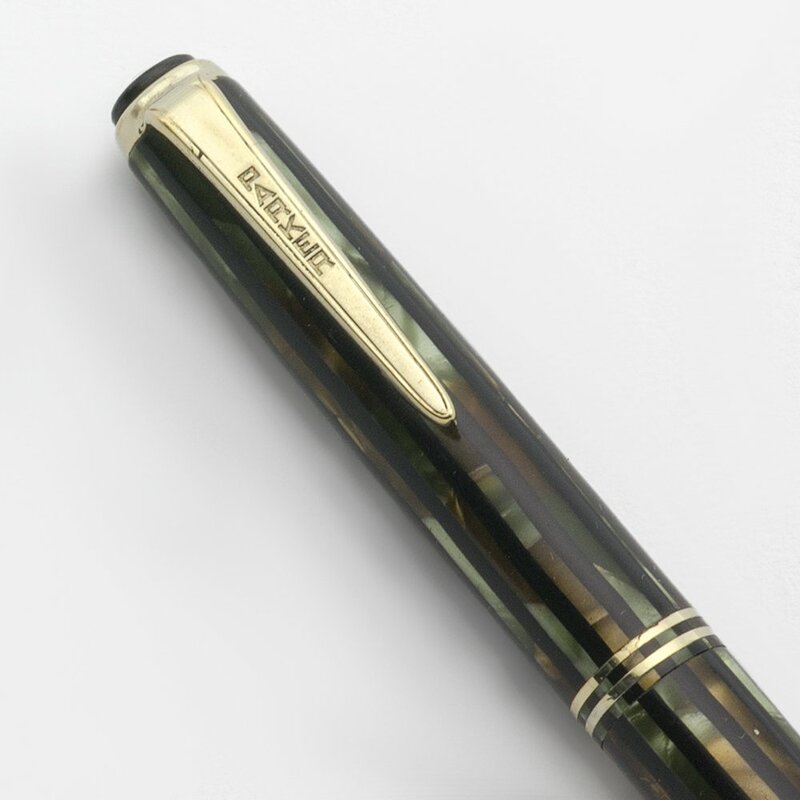 The pen is a Vacumatic filler and the pencil takes 0.9mm leads. Fine gold nib is smooth. Excellent condition with some wear. Fully restored and working well. Product Name Duofold Vacumatic, aka "Duovac" Pen Set, the pen is the Junior size and the pencil is the Sub Deb size. These two models have the same trim. Length The pen measures 5-1/4" and the pencil measures 4-3/4". The pencil is the Sub Deb size. Filling System Vacumatic filler. It probably originally had an aluminum Speedline filler, which was replaced by the plastic version. We've restored the filling system with a new diaphragm and it's working perfectly. 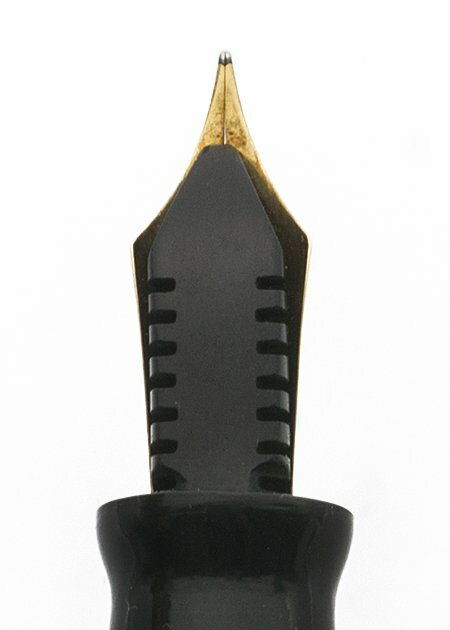 The pencil takes "thing" leads or modern 0.9mm leads. The leads extend and retract via a twist mechanism. There is an eraser beneath the cap. 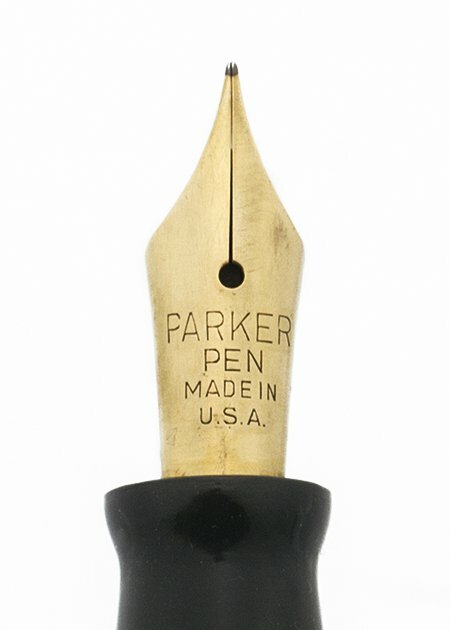 Nib FINE gold Parker Pen nib is smooth with nice tipping material. It is a narrow fine and not quite what we'd call a vintage extra fine. Condition Excellent condition. 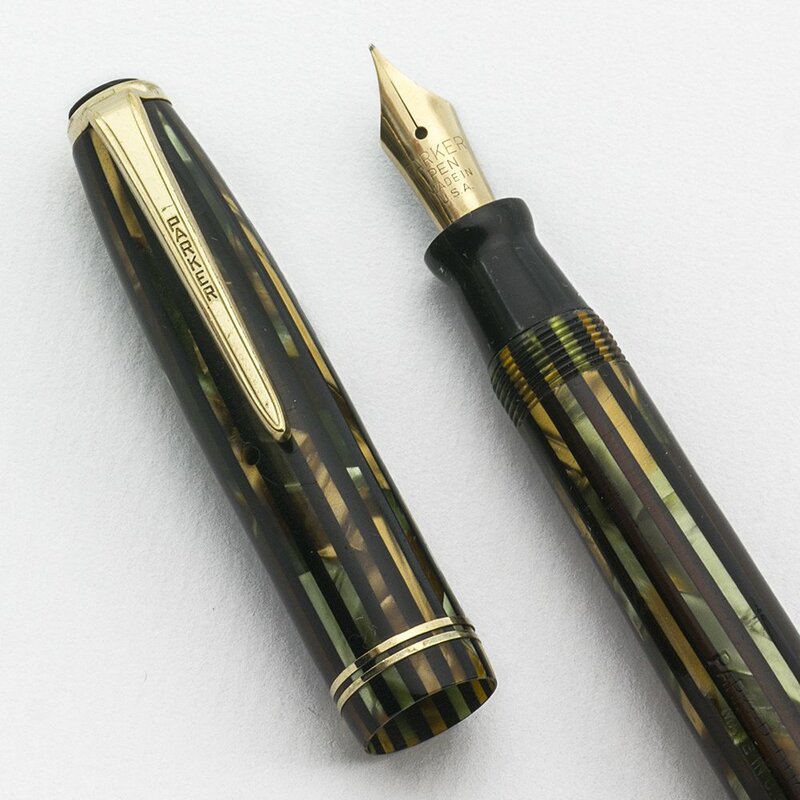 The pen has some brassing on the cap bands. The pen has more handwear on the cap than the barrel. The imprint is easily read and the barrel transparency is very strong. The pencil has handwear and a mark on the cip and a mark on the cone. Its imprint is also easily read. No cracks or chips, dings or dents, or personalization. They are both working very well.